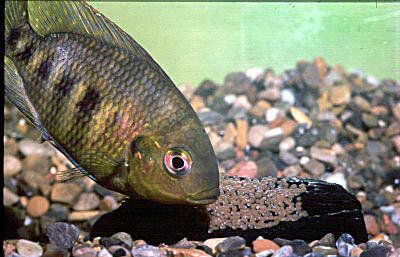 The tiger tilapia can be extremely aggressive when defending its territory. The female lays up to 400 eggs on a suitable surface and then keeps guard until they hatch 2 days later. Size: 20 cm.